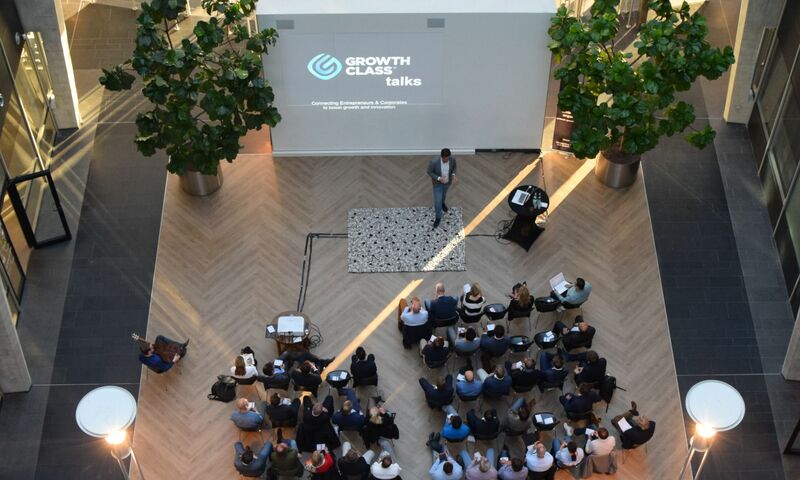 GrowthClass Premium is a 3 months acceleration program, that connects a selected group of corporate innovators and scale-ups. Together they work on making their business activities into a success by sharing experiences, get an outside-in view and apply tools and methods to grow their business activities guided by mentors. The goal of the GrowthClass platform is to help both small and large companies achieve growth. By focusing on their specific business cases, GrowthClass ensures its members to achieve their goal step by step. Deep insights, exchanging experience, energizers and mentors make sure that participants can implement their new knowledge on the workfloor, whether it’s a scale-up company or a big corporate, together they will achieve growth!